Pay your water bills to Delhi Jal Board (DJB) online. Users can pay their water bills by using credit card, debit card, net banking and other payment options. New K NO is required to initiate the online payment process. These are the steps one needs to take in order to dowload, print and view djb bill online. Please note that with this way, you can only view and print delhi jal board water bill. With this, you can print Delhi Jal Board Duplicate Bill. From time to time, Delhi Govt. applies water bill subsidy to consumers who consume within the limit. Please Enter Your 10 digit KNO in the given space and enter captcha in the space provided and click on View Bill. The Delhi jal Board Bill Details would be shown like Bill Date, Current Bill Amount, Net Amount Payable, Bill Due Date and Bill Image. This pdf file is a copy of your Delhi Jal Board bill. You need to provide your old system consumer details to know new KNO. Enter Zone, MR No., Area, Water Connection No. and catcha details. Your New DJB KNO. would be displayed. Any balance and the last water bill paid would be displayed. These are the steps one needs to take in order to register yourself at the djb.gov.in website. Delhi Water Bill Registration is so easy. 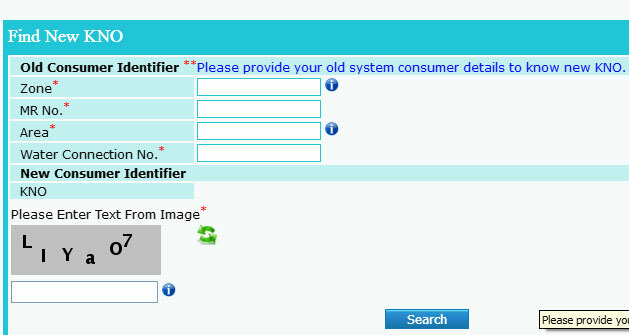 Submit Consumer Details such as KNO, Mobile No and Email ID while registering at jal Board site. If you need to Pay water bill online Delhi, visit the DJB official website and click "Pay online" at the left of the screen or simply just click here. This tells how to pay delhi jal board bill online. 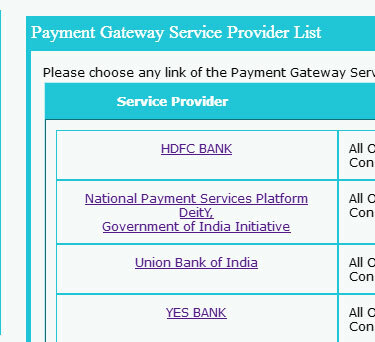 Payment Gateway Service Provider List would be displayed. Choose any Payment Gateway among HDFC BANK, National Payment Services Platform DeitY, Government of India Initiative, Union Bank of India or YES BANK. All Online Transaction Charges will be borne by Delhi Jal Board for Online Payments by Consumers. Its best to Pay Delhi Jal Board bill online to so that your contribution in making a Digital India initiative is realised. Enter your KNO and Click Submit. Click on Pay button for Delhi Jal Board Bill Payment Online. Bank Name - Kotak Mahindra Bank Ltd.
Delhi Jal Board has introduced its app for consumers. Download DJB Mobile Application DJB mSeva app from Google Playstore on your smart phone to view and pay your Water Bills with any time- anywhere convenience. Instant self bill generation 24X7 anytime as per your convenience. Facilities of online payment, view & download previous bills and payment receipts etc. Simple & easy steps for registration and use. Get 10% cashback, Maximum Rs 100(Once per user per bill by the company). You can pay your water bill also without registering. Enter your KNO. at the DJB website to view the latest water bill online. You need to enter your New KNO. This KNO. is available at the top of your water bill.